Adelaide Airport is Runner-Up at Retailer of the Year Awards! Home / News / Community / Adelaide Airport is Runner-Up at the Retailer of the Year Awards! 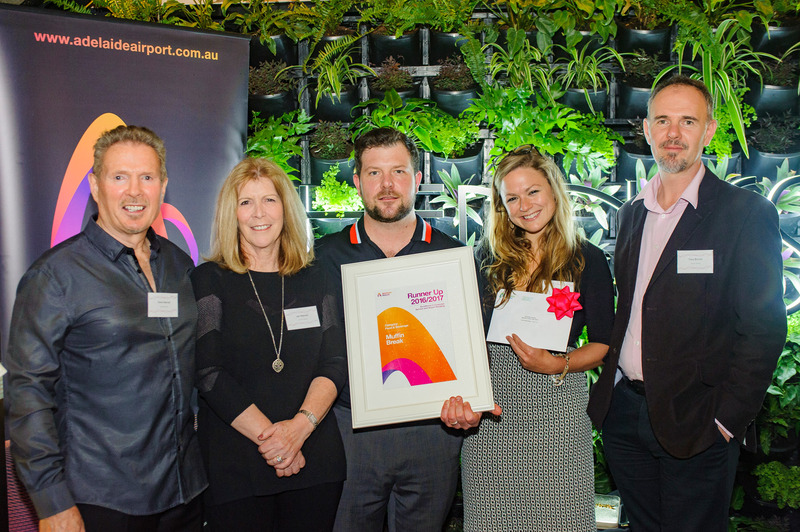 Congratulations to Muffin Break Adelaide Airport, for coming Runner Up in the Adelaide Airport Retail Awards! This is a huge achievement, accomplished through high sales volumes, and monthly, mystery shoppers. The team at Adelaide Airport are led by the Manoel family Steve, Jan and Kit. They based this award to a strong team effort. The team are up and working hard from 4am to 10pm every day, focussing on excellent customer service and upselling. If you’re ever flying through Adelaide, pop in store and say hi to the well-deserving team.